The office has 9 aging computers where no two parts are the same. What's worse, we have a mix of XP, NT, Win7, Win 8, and Win 8.1, Intel, AMD, etc. There's a dead computer in the mix that may even be running Win95. I had recommended standardizing the hardware for over a year. Parts for two workstations were recently approved! These two (of 4) new PC's are for a tax, bookkeeping, and payroll business. I have inherited the unpaid job of part time IT manager. Once built, I don't want to open these cases until they're obsolete. Hopefully, there will be no maintenance needs at all once built. The total computer cost was some concern, but when the software will cost around $5000 per computer per year, it puts other things into perspective. Making these fast, reliable, and maintenance free was more important that total cost. MB - The ASRock motherboard went on sale for $69, and has built in WiFi. H97 is fine since there will be no overclocking for an office computer. This MB set the color theme, even if I'm the only one who will ever see it. Scratch that - Newegg refused the first order, and ran out of stock when the card issue was corrected. 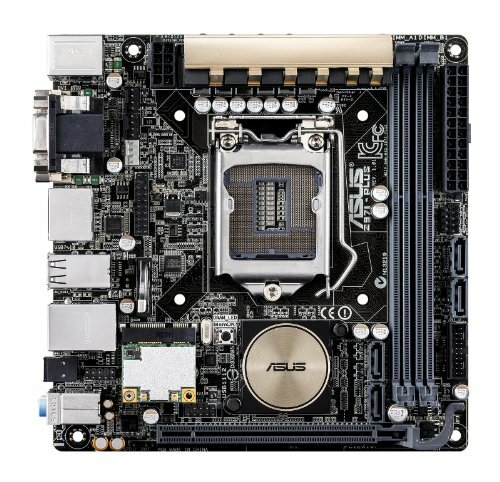 I was forced to go with one Asus H97 board (without WIFI) and one Asus Z97 board (with WIFI). My MB cost went from $66 to $102 and $155. Ouch! The Asus boards have a Black and Gold color theme, which doesn't match anything else I got for the system. Now I will be the only person to know about the garish combination of gold, black, and blue that hides inside that case. I'll rethink how much time to put into cable management. CPU - It may appear to be an odd choice, but I wanted 4 cores, and hyperthreading, with OC not needed. This seemed like a good value. 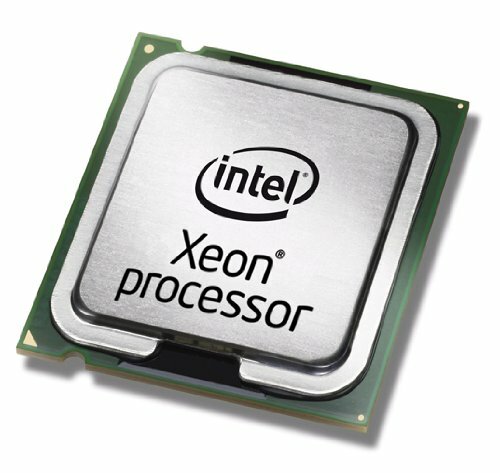 Since a Graphics card was planned, I got the Xeon without the integrated graphics. I am not within driving distance of Microcenter, which makes a big difference in CPU cost. Case - The Node 304 is by far the best mini-ITX case out there. With room for 6 hard drives in a minimal form factor, these will virtually disappear in the office. It has a nice simple look that won't offend anyone. A windowless case was chosen because the end users don't care what the inside of a computer looks like. The 304 went on sale for $59, that helped. I intend to use the 304 Node for the future server as well. Memory - Why so much? It helps when working with large QB files. These tend to be several hundred MB, and there are always several applications running when you are updating the file. Also, since there are only two RAM slots, I'd rather not open it again. 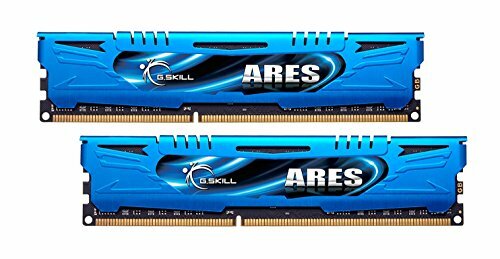 G.Skill ARES was chosen because this is one of the lowest profile RAM offered, and its Blue. Storage - This is one area I was able to improve. 2.5" Samsung 850 Evo's were originally chosen (for $99 each). With the Asus MB, I was able to go the M.2 Route for $119. The Asus boards will support the widely used 2280 format. So I paid $20 for less cables, and a less cluttered space. 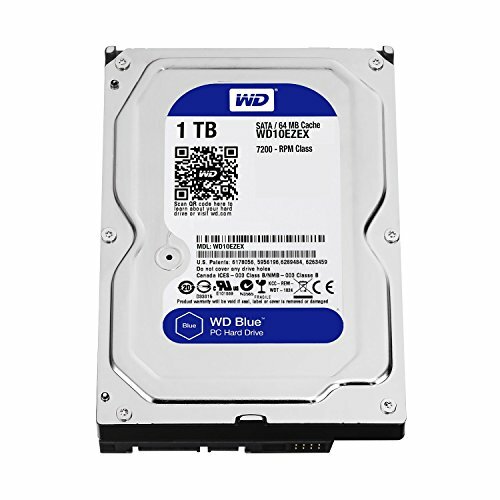 I also got a WD Blue with 1TB for the local storage. Video Card - Originally, the expectation was to drive 4 monitors (now 3 monitors), and this card had 2 DVI and 2 HDMI outputs. I had planned on 4 HDMI monitors when I planned this. Monitors - I had 4 HDMI monitors per computer, but that was scratched to save costs. There are 5 VESA mount compatible monitors in the office that will be used. Edit - Added 3 Asus 24" monitors for one of the work stations. PSU - 80+Gold, Modular, and SFX is nice when working inside the Node 304 case. It cost $10 more than the Seasonic G, but will makes assembly easier. Scanner - Fujitsu-7160 - Why is it so much? Speed. This scanner is able to scan 120 pages a minute if scanning both sides. It is intended for duty up to 4000 pages a day. When people come with boxes of paper, we want to scan and have them keep the boxes. If we kept the boxes of paper, our office would soon have to be in a warehouse. This is key to having a semi-paperless office. Monitor Mount - I first tried the Monmount quad monitor stand. It was heavy, rugged, and securely held four monitors. Unfortunately, the mount was very tall and the top two monitors stuck over the top of the glass cubicle wall. There was no easy way to change those aethstetics. The owner vetoed the mount and I shipped it back. The $90 monitor stand cost $36 to ship back. On top of that, I was warned there may be a 20% restocking fee. In the end I predict that I will have paid $55 to not have a monitor mount. Ouch! From now on, I'm only buying questionable items with Amazon Prime shipping. No restocking fee was applied. Thanks, MonMount! The new monitor stand is a 3 in a row format that fits inside the cubicles, and I got it with Amazon Prime shipping...lesson learned. After assembly, everyone seemed happy with the height, the look, and the function. One warning - The individual screens are not height adjustable, just the entire array of three. This is fine if there are three identical monitors, but not fine if you have a mix of monitors and want the tops and bottoms to line up (ie gamers+eyefinity). For office applications, its not a concern. Supplier: I wanted all critical parts to come through NewEgg, so there's only one vendor to deal with if there are any issues. A warning - If you are getting duplicate items with rebates, put them on a separate orders, names, and address. Most of these rebates state one rebate per household, even if you buy multiples. Once I get (or am denied) rebates, I'll re-update the part prices. I was given the GO at the last minute, 3 days before a new employee was going to need it. Availability and shipping speed was a big factor in what we got. I've built a computer before....28 years ago. How hard can it be? While this turned out to be a lot easier to actually put together, putting it in the case was much harder than I remember before. At least this time, all the parts were included, and I didn't have to hunt down obscure cables, screws, parts and drivers. I built the first Node, start to finish, in 7 hours. I was taking it slow, and taking a lot of pictures along the way in case I got stuck. The second one was assembled in 2.5 hours, with far fewer pictures. Even though I have nearly 100 pictures in this build, I threw out at least 60 others that were too fuzzy or dark. Cable management was a new experience. This will be the first time it seemed important, and it is not easy in this case. I had the modular version of the Silverstone PSU, but ended up needed all the wires anyway. The Graphics card was a little bit of a letdown. I've read that the 750 Ti's were powered by the motherboard. The Gigabyte version was not like this. It required a 6 pin power connector. The cable management would have been very different if that were not the case. Fans - I ended up using the case fans pluggged into the case controller. I was wondering if there was a way to join the three fan wires together, and then route it to the motherboard fan controller. After the CPU cooler, there were only two fan controllers left on the MB, and I needed three and longer cables. WiFi - I disabled this on the Z97 board, and threw the mini-card back in the box. The H97 board didn't have it. There you have it. Windows 7 will show up in the mail today, and I'll reserve the weekend for the software side of this, but the two Nodes are Built and running. Edit: Windows 7 is installed. The computer got windows scores of 7.7 out of 7.9. I didn't run any other benchmarks. Edit: Rebates from Gigabyte never appeared. Since the Gigabyte card was purchased due to the $30 rebate, I'm subtracting one star from the review. Received one out of two rebates, so I'm only out $30. The Silverstone ones came through. Thanks Silverstone! Edit: The H97 board had a bad CMOS battery that was really screwing things up everytime the computer was unplugged. Changed the 2302 battery and no more problems. Edit: This has been an informative build. From what I've learned, I've tweaked the build to save cost on future bookkeeping computers. Since we are running three monitors instead of four, I will choose a CPU with integrated graphics. Future builds will be the I7-4690 or the Xeon 1245v3. Also, since 250GB if fine for the programs we use, I'm deleting the 1TB blue drive. After months of use, the drives are still empty, and the M.2's are holding programs only. I didn't think that 250GB was going to be enough but it looks like it is. An I-7 for $100 less, and it has ECC support. Great CPU if you don't want integrated graphics. Short, and Blue. The two things I needed in the build. Chosen for the need to run 4 monitors, it does that. I would have preferred that this card was powered by the motherboard rather than a 6 pin connector. Edit - Sent in for rebates for $30 each, but never got them, which makes the card cost $140. That and the need to run the 6 pin power makes this the last time I buy a card from Gigabyte. I suggest the EVGA 750TI (02G-P4-3753-KR) instead, but only has 3 monitor outputs. Small and efficient, Gold rated with modular cables. 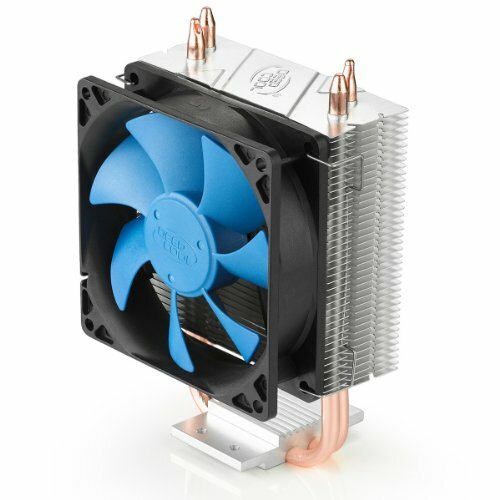 Edit - subtracted one star - Silverstone never sent the $5 rebate per PSU. Please, let me know what you think. I still need to add software, but the hardware is built. Eventually, I'll add the triple monitor setup pics, final placement, and hopefully the a shot of the scanner in action. Have you considered a centralized server for file storage rather than individual 1TB drives in each system? If I was a client I'd hate to know my financial data was 1 drive crash away from oblivion... Plus, giving users a ton of storage at the desktop means they fill it with only god knows what. The data is cloud based and encrypted now, but soon it will move to a server. That is a future project, although I'm not sure if it will be pre or post tax season when it happens. Understood. :) Overall, I think you did a great job making lemonade when the PC gods gave you lemons. Here's to many years of future trouble free computing! Seems like an interesting build, nice job with the zip-ties! Thank you! The first Node used 8, the second used about 10. I've been trying to cut back. Well, I have gotten compliments on the newfound speed of the workstations! When someone who doesn't need to notices and compliments your work, it makes it all worthwhile. To turn a PC on without a power button hooked up, just look at the mobo to see what two pins go to the power button and use something metal to cross them for a second. All the power button does is complete the circuit for a second to power the PC up, touching a screw driver to the two pins for a second accomplishes the same thing. I would keep the power button with cables from one of the old computers. You can use this to hook up the power and reset button as well as HDD and CPU light to a motherboard that is not in a case. They normally are pretty easy to remove. You did good all and all, but since you are not wanting to open them up for years to come I would have gone with a different OS. Windows 7 has entered extended support, it is only receiving critical updates now. You really should have gone with windows 8.1, but I understand why you did not (training people can be a beast). Personally I would have tried to wait for windows 10 to come out, since it will be supported for 10 years. If you chose to upgrade to windows 10 it may be advisable to hold off on picking up all of the software to make sure it will be compatible. Thanks for the power button trick! I'll have lots of spare parts as I decommission the old computers. Windows 10 is in the queue , (within 12 months and 4 days), but we will not be an early adopter. That was my recommendation when I first saw windows 8. You wouldn't believe how hard it was to find Windows 7. I wanted to install OS's yesterday, and none of the big box stores even carries 7 anymore, only 8. Well Amazon and Overnight Shipping is my friend.